2l. 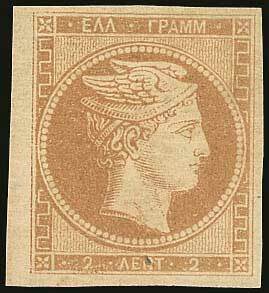 brown-bistre in mint left marginal copy. Very fine. (Hellas 2c).